Thank you for taking the time to look at this Patreon. I want to give you the experience of playing in campaigns or one shots with an experienced GM. I am a life long gamer and have been playing and running games since the late <g>80's</g>. Whether you want to learn new systems and dabble in several games or you want or playing long campaigns with a dedicated story around your characters, there are plenty of options to play here. In addition to being an experienced GM I am a professional freelance game designer (credits from Wizards of the Coast, Ulisses North America, Schwalb Entertainment, Kobold Press) and social media manager (specializing in RPG and related Kickstarters), the former community manager for the D&D Adventurers League and the founder of The Burnt World of Athas website (Athas.org). All games are run online using the Fantasy Grounds software along with Skype/Discord for audio/video. I have an Ultimate Fantasy Grounds License so all you need is the FREE trial license to play. Full details on how to join will be sent once you sign up. Please see below for all the games you can play and join by selecting a tier on the right. I hope to see you at my virtual table soon! Dark Sun was the first D&D setting I really got into and I want to bring my passion for it to you! I'm opening up 5 spots for an every other week Dark Sun custom campaign using D&D 5e rules. This game is two Tuesday's each month at 6pm Pacific time. Warhammer 40k Roleplay with a new fast system. Play in the bleak world of the 41st millenium where there is only war! We'll play through the published content and if that runs out I'll create new content. I've written professionally for W&G. This game will be once or twice a month on Fridays at 5pm Pacific. You can see a rules walk through on their webpage. If you like the gritty darkness of games like Warhammer and the ease of D&D check out my Shadow fo the Demon Lord games. We can also play through the adventure I wrote professionally for SotDL in the Queen of Gold. We'll run through the multitude of content out there depending on what player's want to play. Game day/times time TBD. 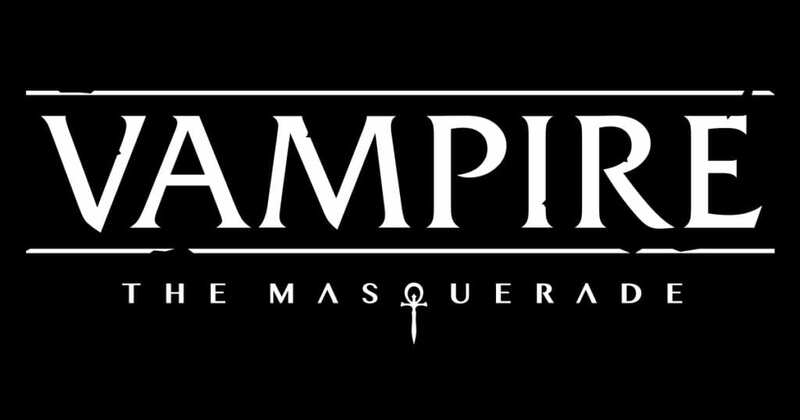 Let's delve into the gothic punk setting that is Vampire the Masquerade. This is my all-time second favorite game. I've been a player since it's inception in 1991 and I'd love to draw you into the darkness of 5th edition Vampire. Game day/times time TBD. Play a heroic sci-fi game using the D&D 5th edition rules. We'll play through characters' adventures in the Crucible Corps organized play system. I've written professionally for EG and we'll play through the adventure I wrote as well. Game day/times time TBD. 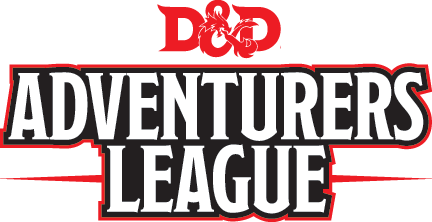 The D&D Adventurers League will be hosting an Eberron campaign and we'll play twice a month on Wednesdays at 6:30 Pacific. Actively looking for players! Season 8 of the D&D Adventurers League is set in Waterdeep. We'll play through Dragon Heist and the AL adventures then move into some Dungeon of the Mad Mage. This campaign is the 2nd and 4th Tuesdays of each month at 4pm Pacific time. I have written several other D&D Adventurers League adventures which I can run for folks as well as <g>one shots</g> or part of an ongoing campaign. DDAL00-02 Lost Tales of Myth Drannor:Since the destruction of Myth Drannor by the Netherese of Thultanthar, the elves of Cormanthyr have grown silent. The new First Lord of Hillsfar. Vuhm Yestral. has a tenuous hold on power and seeks to make allies of old enemies while exploiting the nearby forest resources. Heroes are needed to carry the First Lord's message into the Forest of Cormanthor and explore ruined Myth Drannor! Within you will find updates to the current state of the City of Hillsfar following choices made by D&D Adventurers League players during season three (Rage of Demons") and six new adventures legal for D&D Adventurers League play with characters levels 1st-20th. Face fearsome foes. explore forbidding ruins in ancient forests, and find out what has become of Myth Drannor! A series of 6-2 hour adventures for characters of level 1-20. The Scavenger Saga will be an open world game available in January 2017 and only to members of this Patreon. Every member at every pledge level will get 1 Scavenger 2 hour game to learn about and experience the world. In addition, all members at the $10 level and above will have the opportunity to play in open world Scavenger games (subject to availability). SO, what is Scavenger? Scavenger is a setting for 5th edition. From the mind and artistic skills of Alexandru Negoita (a video game art industry veteran with Electronic Arts, Gameloft, & King), Scavenger is a beautifully illustrated artbook and campaign setting for 5th edition set in a ravaged world with a gateway to other dimensions. Alexandru and I met after I saw his amazing art, he mentioned that he wanted to create this world in art and needed someone to write it. We struck an agreement and I am taking the lead on designing the world setting and 5th edition rules for it. Alexandru has agreed to let us use the setting in an open world campaign to flesh it out and let you, my patrons inflict change upon the world in a way not seen before. How will this work? Essentially we'll create a small "west-marches" style game where the players lead the action and follow the plots they want to explore. There will be intrigue in the city-state of Raddak and exploration in the alien Relic. Who can play? All patrons will get a taste of this game when they first sign up and then patrons of $10+ will have the opportunity to play up to 4 hours of content a month as seats are available. Who will be DMing?I will be running some of these games, two 3-4 hour games per month, but we'll need more than myself to handle all of the players. I need help from you, my patrons, to step up and DM. Not only will you be DMing, but you'll be contributing to the campaign and the setting as a whole. For each hour of game time run you'll get an hour of game time to play in any Patreon game be they my AO's/LostTales/AL Campaigns/DarkSun or Scavenger games. Time spent outside of DMing (such as organizing the campaign) will also net you play hours. I've already been talking with Tadd (a patron) and he's agreed to help and DM. If you're interested, please shoot me a message through Discord or Patreon. If you haven't run games on Fantasy Grounds before, don't worry, I'll have some how to sessions and slot 0 games for you as a DM. When/how will these games happen?These games will start in January, the effective day for the patron changes for this patreon since we charge monthly. All games will be played on Fantasy Grounds. How can I learn more about Scavenger? You can follow Scavenger on social media and if you're a patron of mine you'll get exclusive details in Patron only posts. If you're interested in playing in any of these games please become a patron. If you cannot become a patron now please Follow this patreon for contest announcements to attend an adventure for free. Thank you again for taking the time to check out the Patreon, I hope to see you at my table! You'll be invited to our Patron only Discord where games are organized and great conversations take place. Access to my Fantasy Grounds server where you can create characters. Advice and tips in patron only posts on character creation. You'll be invited to our Patron only Discord group, as well as the Facebook group. You'll be invited to our Patron only Discord group. You'll be able to sign up for games on a fill-in basis, for games that are not full and would otherwise not run. You'll be guaranteed a seat at one of the Dark Sun 5e sessions held every other Monday from 7pm-10:30pm Mountain Time . Each month you'll get a 1 hour consultation about anything you choose. This can be about gamemastering, playing, social media help, Kickstarter advice, whatever you'd like. You'll be guaranteed a seat at a Saturday afternoon or night one-shot table. You'll be guaranteed a seat at 2 monthly Wednesday Eberron sessions. Wednesday from 6:30pm-10:00pm Pacific. You can participate in a full campaign with up to 5 of your friends (6 total players). Campaigns can include D&D (AL/Non-AL, Eberron, Dark Sun, Planescape, Dragonlance, etc), Wrath & Glory, Vampire, Apocalypse World, Eclipse Phase and more.